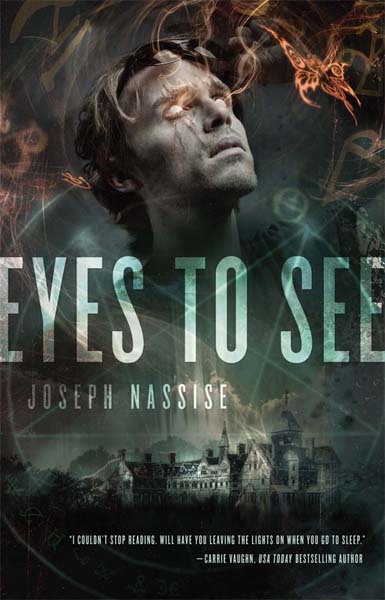 Joseph Nassise has been involved in the horror genre as former president of the Horror Writer's Association and the author of the Templar Chronicles. His latest protagonist, Jeremiah Hunt in Eyes To See from Tor books, is also involved in horror – the sort that goes bump in the night. 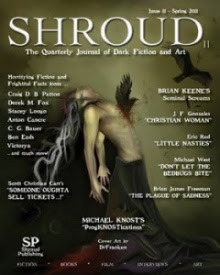 Billed as an urban fantasy novel -- what's urban fantasy for one generation is Gothic to those of us dinosaurs who remember it –- Nassise paints a wounded character in the midst of a haunted environment. Reminiscent of a noir detective, Jeremiah utilizes his gift of “ghostsight” to help the local police detective Stanton to track down a brutal killer and earn cash on the side. Mesh this noir attitude with a dash of the occult and an atmospheric setting and you have Eyes To See. The origins of Jeremiah's Hunt's lonely and alienated life and how he becomes blind to everything but the haunts that surround him, have to do with the disappearance of his daughter five years before. While Nassise provides plenty of plot and action to keep the reader busy attempting to untangle the path that lies before Hunt, it's the back story that proves most intriguing. Hunt's transformation from happily married man declining into a broke-down shell in his search for the daughter he blames himself for losing, he eventually finds himself in an occult underground world. His journey into the heart of desperation defines horror itself as he trades away his eyesight in the hopes of finding his child. Nassise also succeeds in dishing up a last minute surprise. While Hunt's prior life is defined by the absence of people he cares about, toward the conclusion it becomes filled with new people who have secret histories of their own, from the hedge-witch Denise to the street-wise bartender Dmitri. If you find yourself alone on a dark night, Jeremiah Hunt's ghosts from Eyes To See would prove entertaining company. . .